Look down them sights, soldier. Fire at will! 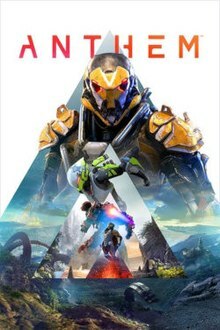 So if anyone is interested in Anthem, our Destiny clan is going to be playing Anthem on the PS4. On Destiny we are clan: House of Redeemed if you want to check us out there, there is no clan structure in Anthem as of now. or check out our Band APP link here: https://band.us/n/a1a2zfIdjey0M (eventually this link will expire). Last edited by StKeWa on Sat Feb 02, 2019 7:33 pm, edited 1 time in total. If the Band link expires or if you have any questions feel free to PSN message me at StKeWa.